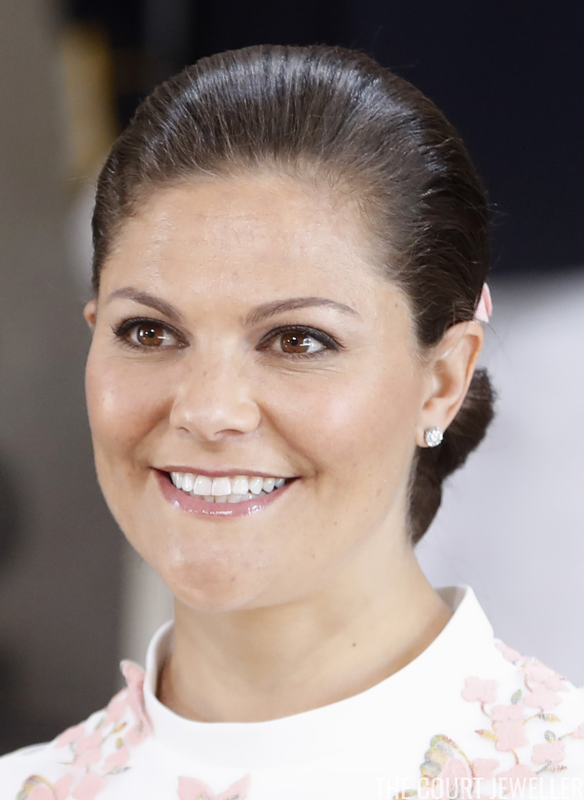 Crown Princess Victoria of Sweden turned 40 on Friday, and the royal family celebrated the milestone with a special Te Deum service. Here's a look at the elegant jewels they wore. 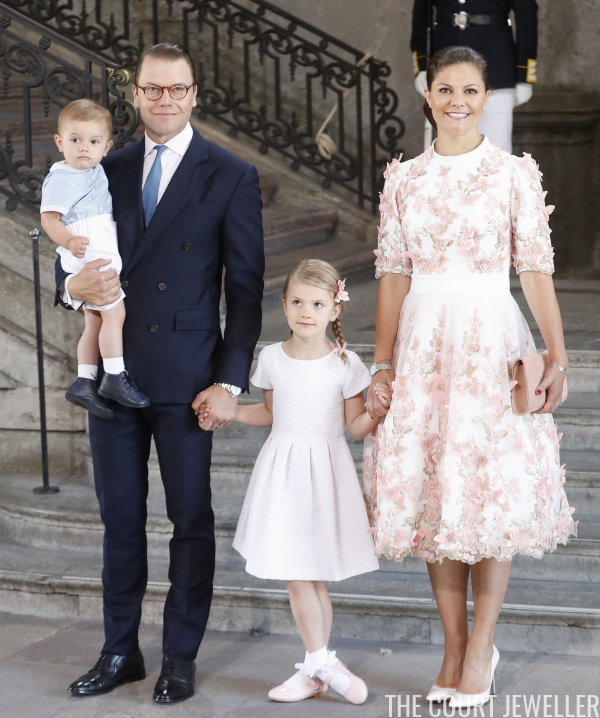 Victoria attended the service with her entire family: Prince Daniel, Princess Estelle, and Prince Oscar. 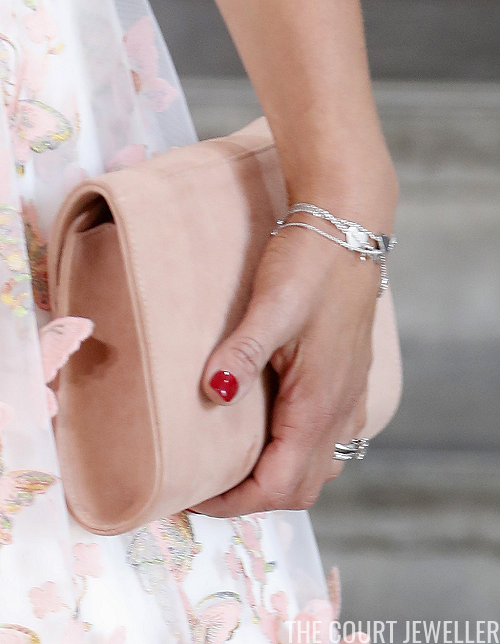 ...and her usual delicate bracelets and her rings. 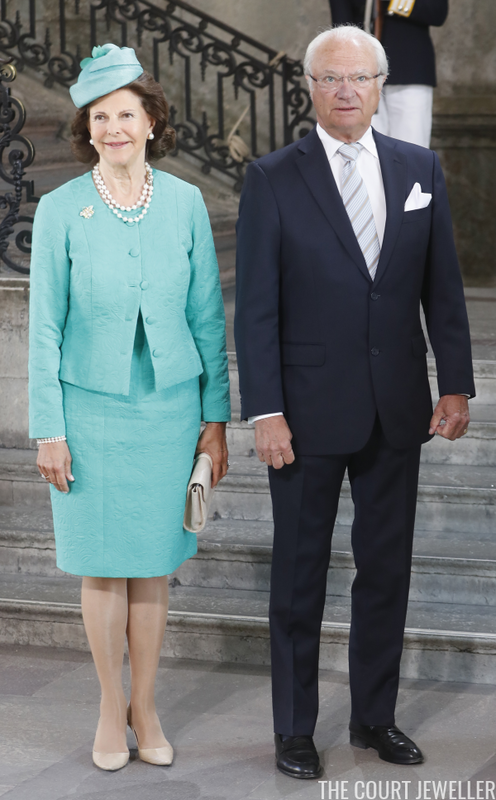 King Carl XVI Gustaf and Queen Silvia were, of course, on hand to celebrate their eldest daughter's big birthday. 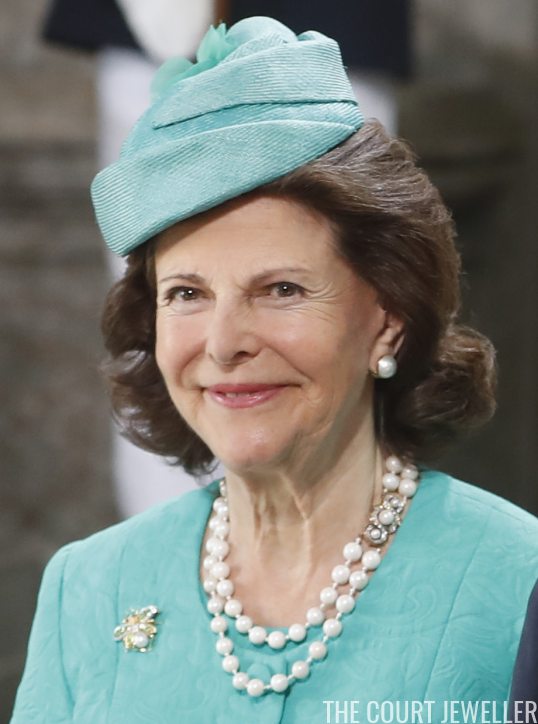 Silvia wore some of the most important pearls in her jewelry box: the double-stranded pearl necklace that belonged to her husband's mother, Princess Sibylla. 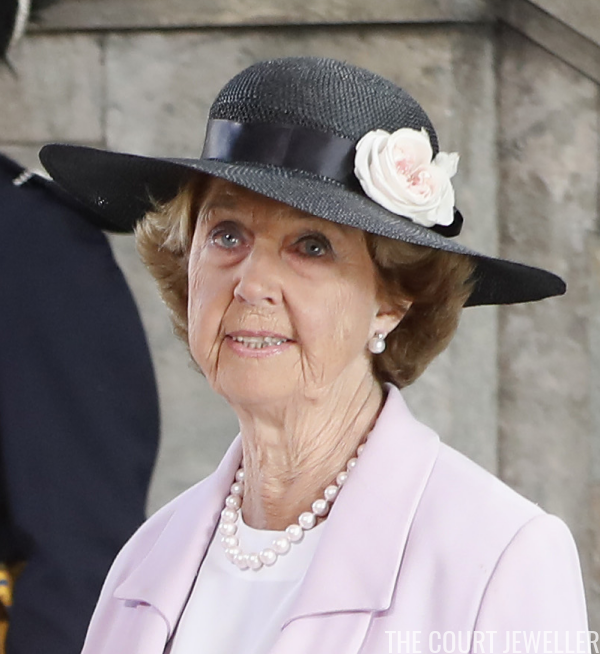 She also wore pearl earrings, a pearl bracelet, and an insect brooch. 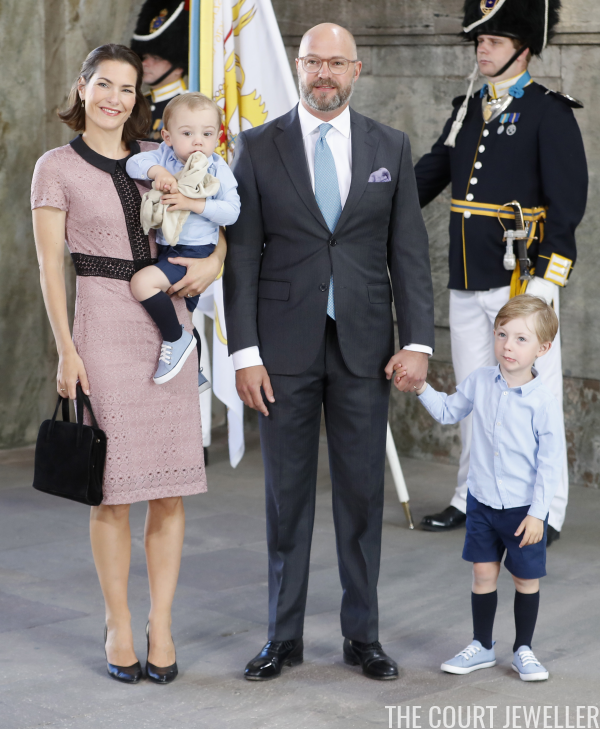 Prince Carl Philip attended the service with his wife, Princess Sofia (who is expecting their second child), and their son, Prince Alexander. Sofia chose large baroque pearl drop earrings for the occasion. 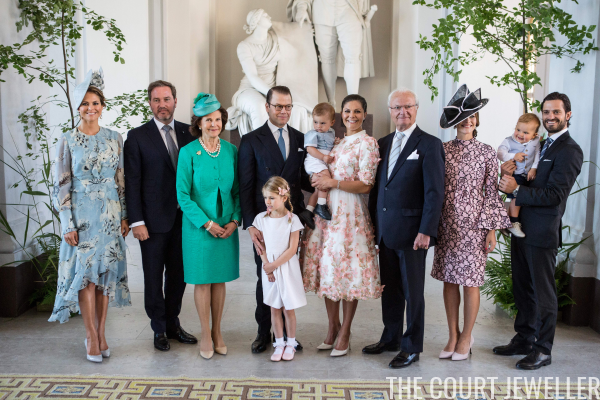 It was clearly more challenging to get a good portrait of Princess Madeleine's active family. 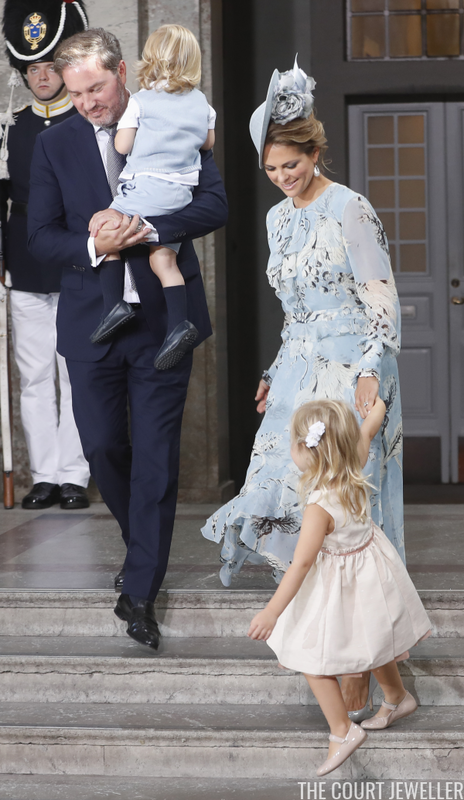 She attended the birthday service with her husband, Chris O'Neill, and their two children, Princess Leonore and Prince Nicolas. Like her sister-in-law, Madeleine also wore baroque pearl drop earrings. This pair, which she's worn previously, features a modern diamond setting. 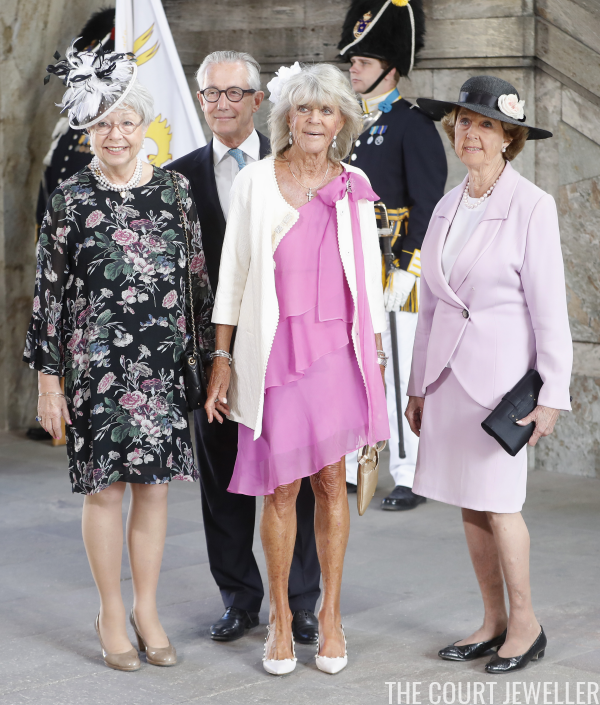 Three of the king's sisters -- Princess Christina, Princess Birgitta, and Princess Desiree -- attended the service with Christina's husband, Tord Magnuson. 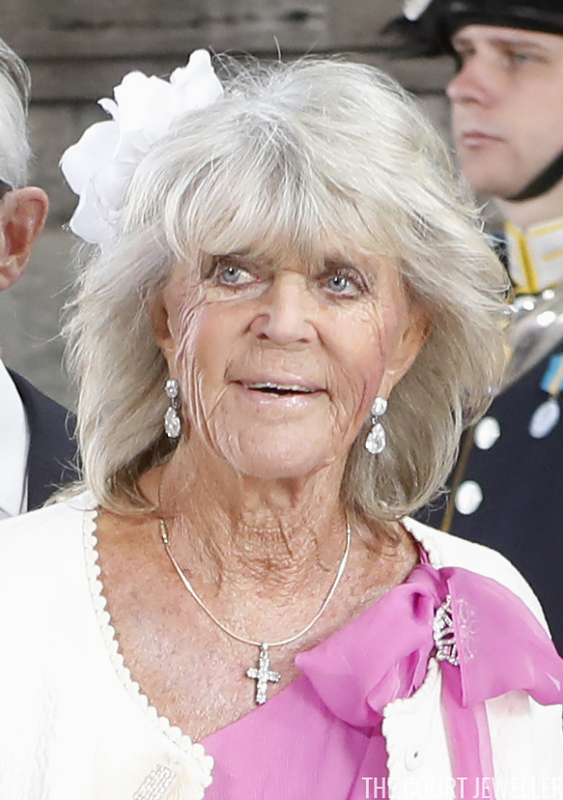 Princess Birgitta went for a bit of sparkle, wearing glittering pear-shaped drop earrings, a diamond floral brooch, and a diamond cross. Princess Desiree decided on classic diamond and pearl earrings and a coordinating single-stranded pearl necklace. 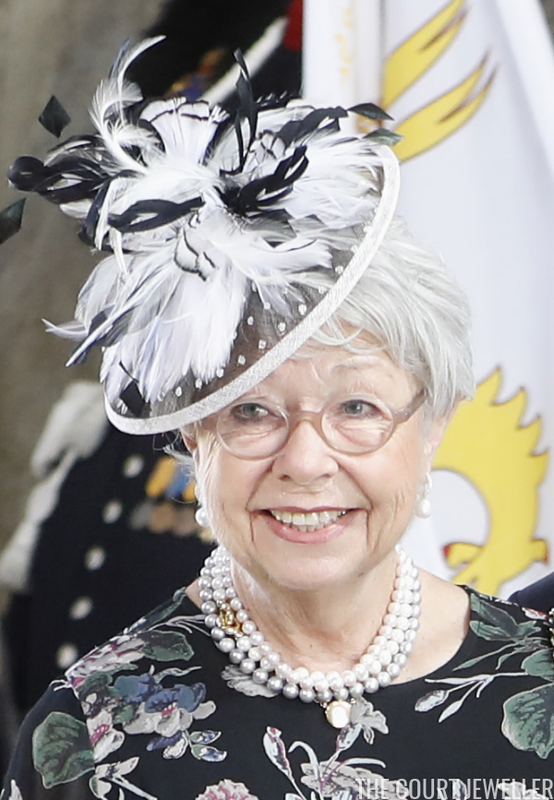 It was especially wonderful to see Princess Christina, who has been in treatment for cancer, attending the service. Like Desiree, she wore pearls, including one strand with a silvery-gray hue. Christina's son, Oscar Magnuson, attended the service with his wife, Emma, and their two sons, Albert and Henri. 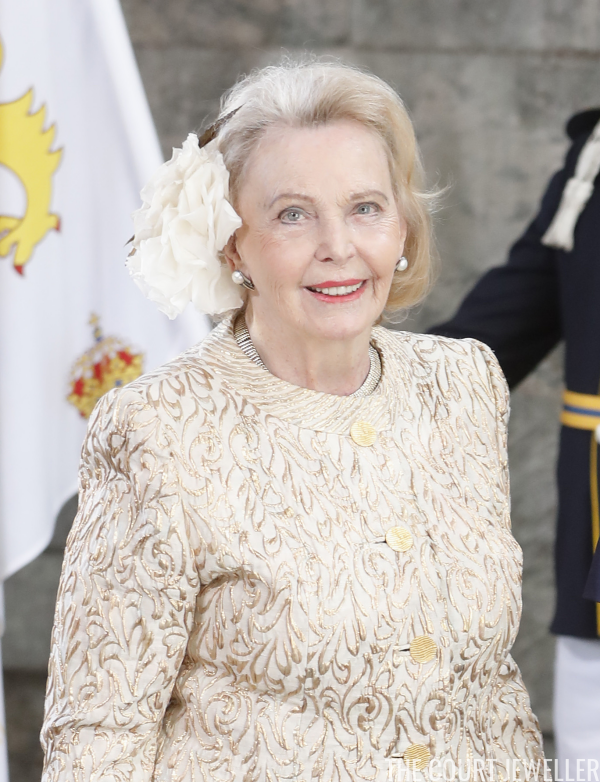 And there was one more Bernadotte who posed for the photographers: Marianne Bernadotte, widow of Sigvard Bernadotte (and therefore an aunt by marriage of the king). She wore an interesting suite of pearl and silver-toned modern jewels. Even more photos from today's birthday celebrations can be found on our Instagram account! Visit us at instagram.com/courtjeweller for cute kids, national costumes, and statement earrings!